Are you looking for a granite, quartz and marble contractor or countertop fabricator who specializes in the knowledge of various types of countertop materials, and in the process of templating and installing these materials for you? As an experienced and knowledgeable contractor, Josh at Carolina Countertops helps clients through the entire process to ensure they are happy with their new countertops. 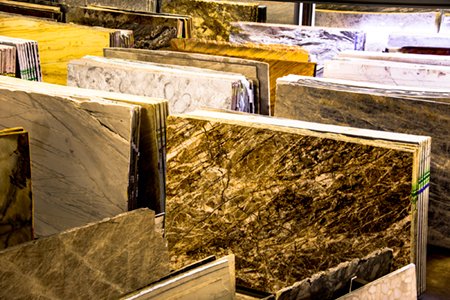 Together, you can search the granite yards or countertop store to find the right countertop for you. A Countertop fabricator should help the client with their selection from granite yards or from the specific samples of materials they offer. At Carolina Countertops, we will measure and complete a template of the area which needs countertops and then have the material cut/fabricated. If the countertops are replacing existing countertops, the old countertops will have to be removed. Typically, the contractor will give the homeowner the option for removing the old countertops on their own or hiring the countertop fabricator to remove them for an additional charge. (We prefer to handle the whole process to insure your satisfaction.) The countertops will then be professionally installed and sealed if necessary. If you are removing sinks or stoves, plumbing, electrical, or gas work, it is not typically included in quotes. Be sure to discuss with your contractor as to whether you would like to hire your own or have the contractors coordinate the entire project. Also, be sure you are getting quotes on exactly the work you expect to be done. 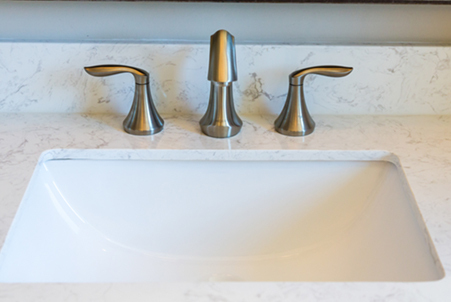 A granite, quartz and marble contractor or countertop fabricator has thorough knowledge of the difference in materials including their composition and how resistant they are to heat, stains, bacteria, chipping or cracking. It is important to understand and explore the materials with the contractor in order to find the best fit for your needs and preferences. It is also important to inspect the slab (if you are selecting granite or marble from a warehouse) for excessive cracks, pitting or fissures which can be common. Some contractors only work with certain materials (for example either granite/marble/quartz/formica, but not always both). 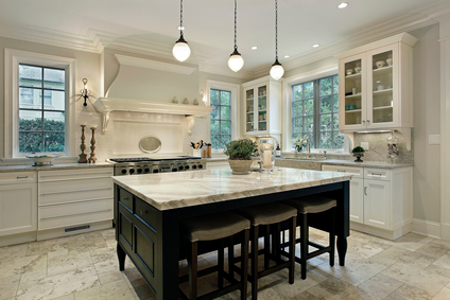 Carolina Countertops specializes in granite, marble and quartz. It is important that a fabricator discuss movement and variations in the various materials. We acknowledge and understand how movement will affect the seams and the appearance of the countertops once installed. Often seams are needed for large areas. If you are using a material with a great deal of lines, the movement seems will not typically match. 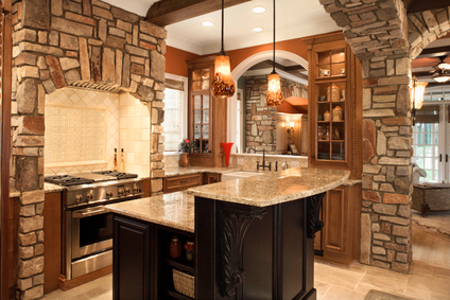 However, we will help you understand this and assist you as you search the granite yards or countertop store. 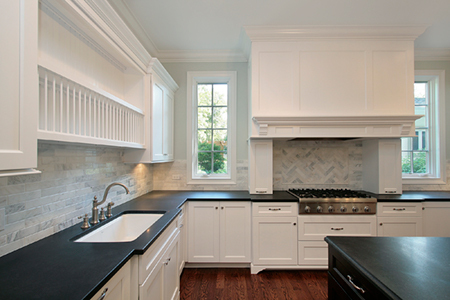 A countertop fabricator is a specialty that must have proper insurance to operate. Carolina Countertops carries insurance to cover any project so all (client and fabricator) are protected against the unforeseen. Because of his passion and knowledge, Josh Friend at Carolina Countertops is a countertop fabricator and marble contractor who can assist you with different styles of design and with suggestions on coordinating with your tile and cabinets. However, he recognizes people have very individual tastes. Since no two people or stones are alike, he skillfully guides clients to select what they like and what will work for their needs. Contact Josh to get started today.